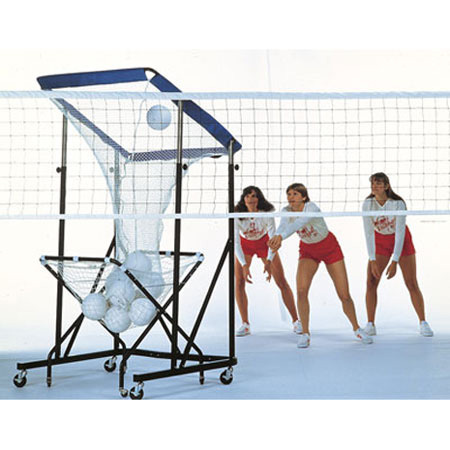 Adjustable target that collects balls for more efficient use in drills. It’s multiple adjustments make it ideal for refining the skills of passing, serving, spiking and setting. 4' spare target hoop adjusts in height from 5' to 11" and rotates from horizontal to vertical.Made of strong and durable steel. An excellent motivational tool for volleyball drills.